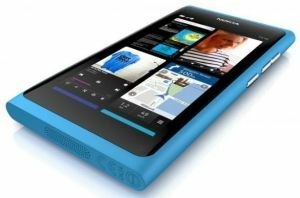 Nokia, the Finnish mobile manufacturer has unveiled its latest handset called N9, which runs on the MeeGo operating system. Earlier the company had launched N900 with the same OS. The N9 has a poly carbonate uni-body (which is just one piece that packs the battery and the other hardware inside it) and is expected to be made available in the market later this year. The mobile phone runs on the MeeGo 1.2 (Harmattan) operating system developed with the help of Intel and the user interface is specially designed for the comfort of the user. The home screen has three sections namely applications, events (for displaying notifications) and a third one that shows you all open applications and with the help of system-wide swipe gesture implementation, users can go back to the home screen at any time with a swipe. N9 features a 3.9-inch AMOLED curved glass full touchscreen Gorilla Glass display with 854x480 pixel resolution and 16.7 million colours. It is a full touchscreen smartphone because unlike regular touchscreen smartphones, N9 doesn't have any buttons on the front panel, but it has volume control and screen lock buttons on the side. It runs on a 1GHz ARM Cortex-A8 architecture based 'Texas Instruments OMAP 3630' processor, with PowerVR SGX530 graphics chip (the same combination used in Samsung Galaxy S LCD 4GB GT-I9003). The mobile phone has 1GB of RAM and comes in 16GB or 64GB storage options. Additionally Nokia has put a Near-Field Communication chip inside and the mobile phone also has free maps and turn-by-turn navigation with voice guidance. N9 has an 8 megapixel camera with wide-angle Carl Zeiss optical lens coupled with dual LED flash. The camera has a digital shutter with 4x digital zoom and comes with continuous autofocus while recording a 720p high definition video at 30fps. It also has a large lens aperture (F2.2) for better photos in low light conditions and has a camera at the front panel for making video calls. It comes pre-loaded with Ovi Store (changed to Nokia store), Music store and games like Angry Birds Magic, Galaxy on Fire 2 and Real Golf 2011, features a fast mobile web browser built using Webkit 2 technology and offers wide HTML5 support. Nokia claims talk time of up to 11 hours on 2G and up to 7 hours on WCDMA and video playback of 720p high definition videos for up to 4.5 hours and music playback for up to 50 hours (much better than the iPhone). The pricing of N9 has not been disclosed but it will be available in black, cyan and magenta colours. Let's hope the new offering will somewhat help Nokia combat the slump in revenues and competition from other brands like Samsung and Apple who are aggressively decreasing Nokia's market share.